The RIDGE Project not only screens workers for competency, we screen them for work ethic, and conduct ongoing work ethic trainings with them using the TYRO Job Ethics Training curriculum. This unique training will ensure that your company is not only getting a qualified worker, but also one who shows up on time and is motivated to work hard. We are the only workforce organization in the region to offer work ethic screening and training. We handle all the administrative and HR work so you can focus on running your business. You only pay one invoice for your labor costs (we cover all taxes and overhead costs). Cut your labor costs and free up your full-time employees through our fulfillment services. We handle all the risks associated with bad hires – giving you the flexibility to retain only the best workers. 50% – 70% better retention if client has Pre-technical training and completes Life Skills Training. 80% better retention if client has a skilled trade or technical training and Life Skills Training. Compare this with traditional staffing services’ 10% retention rates. 100% of the profits generated through the staffing service funds the not-for-profit youth and family strengthening programs of The RIDGE Project. Doing business with us not only saves your company money and reduces your risks, it also has a positive social impact on your state and local communities. To help motivated job seekers and partnering companies grow and prosper, by setting the staffing industry standard for innovation, strong employee relations, and exemplary customer service. 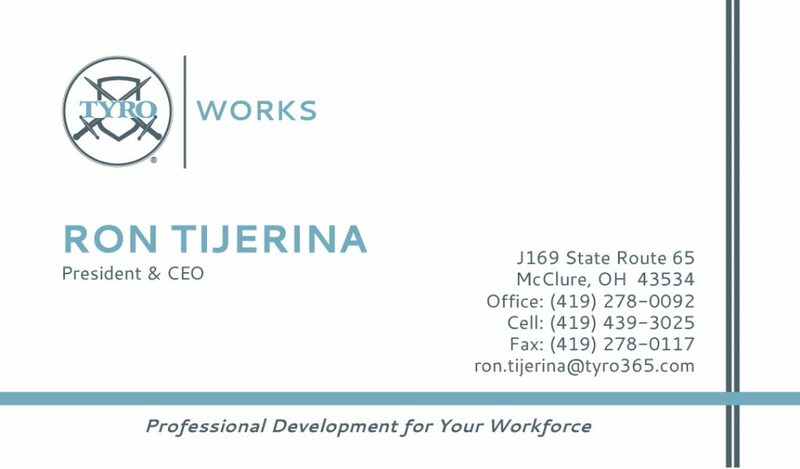 Ron Tijerina at 419.439.3025 or email ron@tyro365.com.